Mom's Gone Bronson! 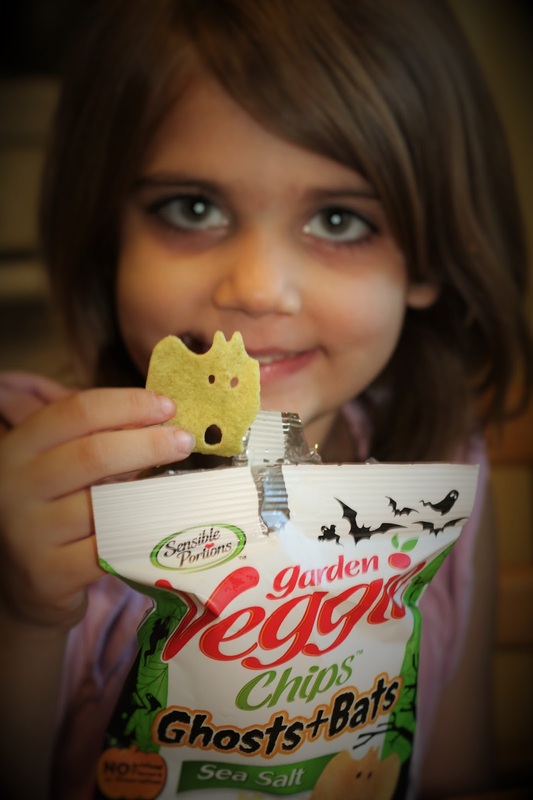 : Sensible Portions Garden Veggie Chips for Halloween! Sensible Portions Garden Veggie Chips for Halloween! Sensible Portions Garden Veggie Chips (Ghosts + Bats) in Sea Salt flavor are just what you're looking for if you don't want the sweet and candy of Halloween, but really enjoy the salty and savory snack, instead. Just add a few bags of these to your Halloween festivities and you're good to go - we tried them, we liked them and they were crispy, crunchy and good - the fact that they looked like ghosts and bats was a bonus and we had some fun with them before they were all eaten up. Throw some in a bow to put on the table for dinner or just hand out bags of these instead of candy, whatever you like - I wouldn't be disappointed to get a bag in my Halloween bag this year, that's for sure. For more info on these, check them out on social media, their website and pick some up in all good stores, like Target, just in time for Halloween!